I occasionally run across these, with no subject line, a spoofed sender, and no message text. 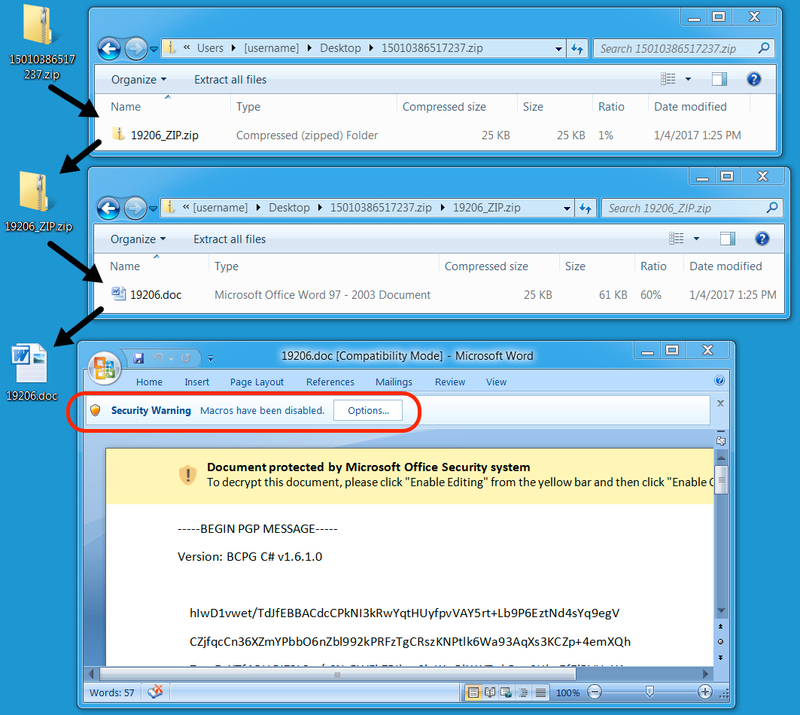 The attachment is always a zip archive containing a Word document with a malicoius macro that (if enabled) will download and run Cerber ransomware. NOTE: The sender's address was spoofed--the message did not come from a gmail account. Shown above: Malicious word document extracted from the email attachment. 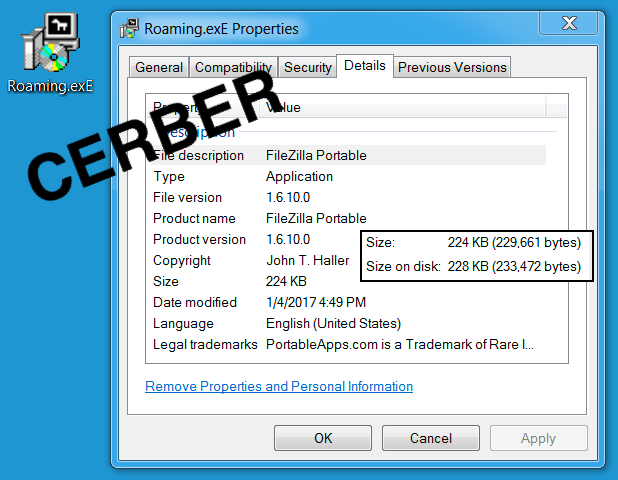 NOTE: Enabling macros on that Word document will download and run Cerber ransomware. Shown above: Pcap of the infection traffic filtered in Wireshark. NOTE: The document was double-zipped. It was a zip archive containing a zip archive of the Word document. Shown above: A copy of the malware before it deleted iteself.